Fun Fact: Poppy Lissiman is one of my favourite stores to shop at! 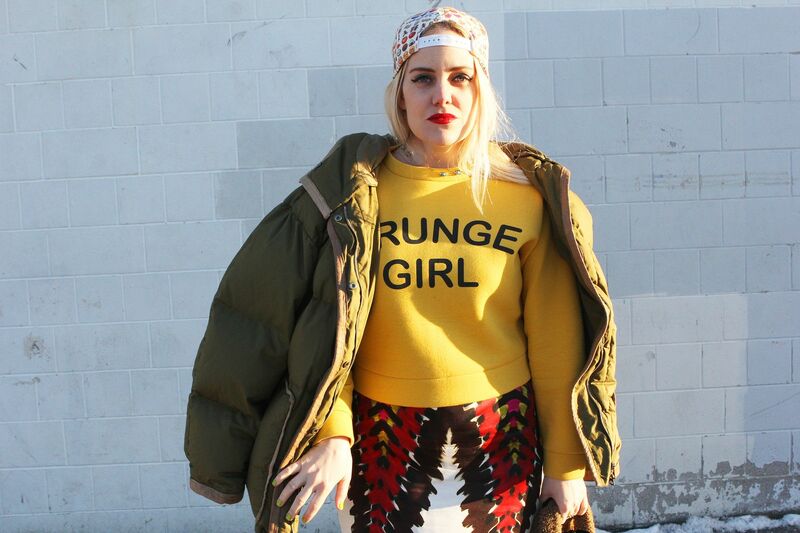 She has the coolest pieces like this neoprene Grunge Girl top and also this crazy cool batman sweatshirt we can't stop wearing! One of our favourite new designers is Michael Nelson. 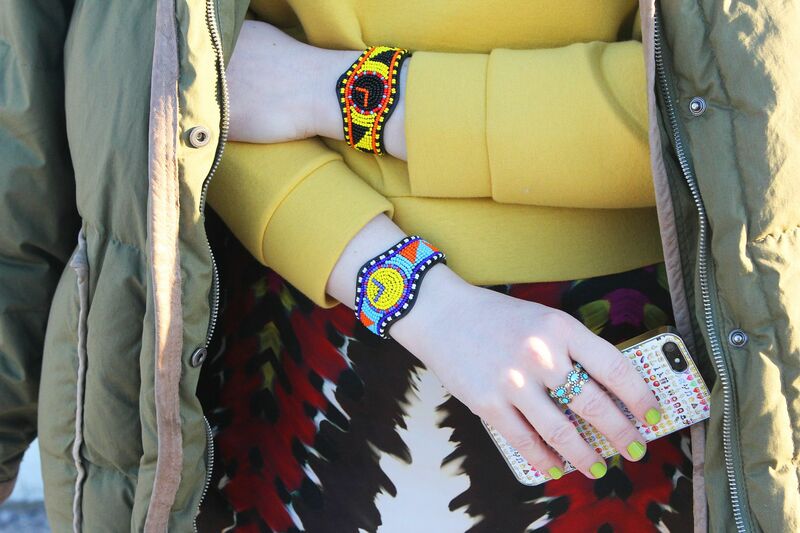 He makes these beaded watch bracelets, that I'm wearing as cuffs. It's always 3:00pm with this bracelet! (Coffee time!) He works with 12 Masai women who work together in a fair trade cooperative to bead his masterpieces which allow them to earn a living in the comfort of their own village, while raising their children and families. I think these bracelets are really epic and so beautifully made. I also love Freida Rothman whose jewelry I'm also rockin' today, (necklace and rings). We have worn her stuff from the beginning and I love how she uses semi precious stones and how delicate each piece is. 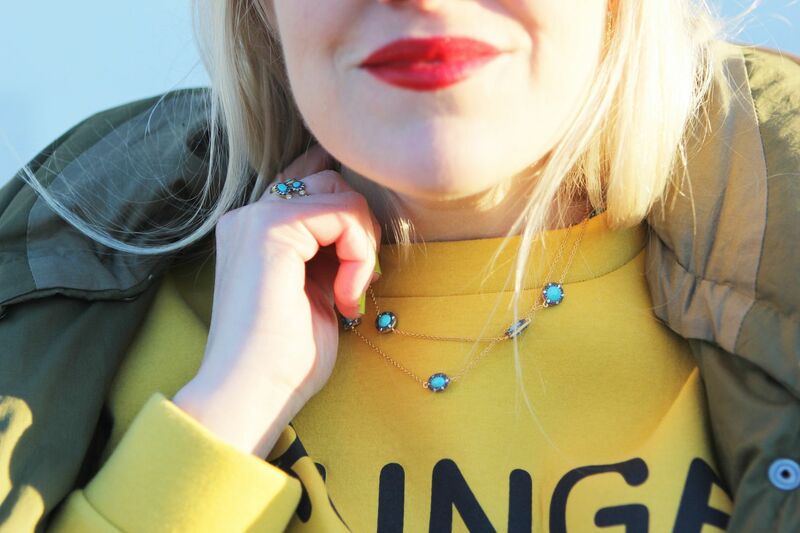 Turquoise is my favourite type of stone :) Toronto Fashion Week starts today and I can't wait to see what the Canadian fashion designers have in store, in our hometown! 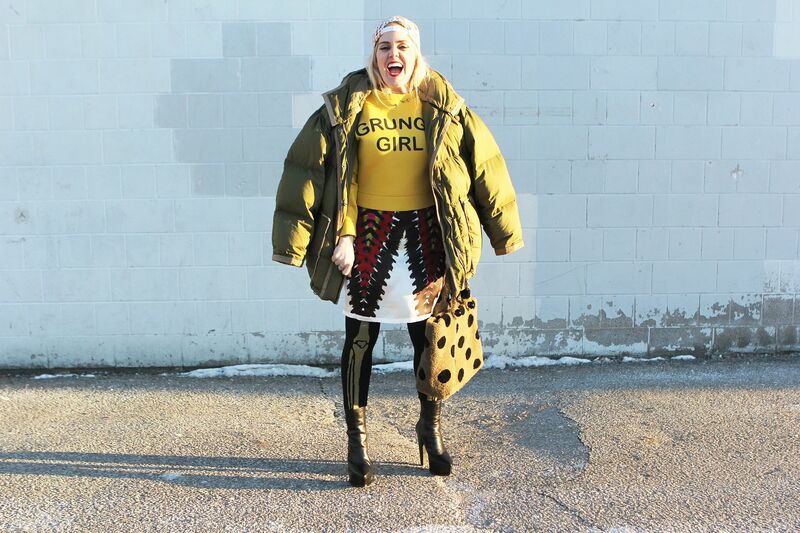 I love how you girls always keep your outfits fun and so different from everyone else! So inspired by you girls! You are beyond fantastic, and I adore you and the whole stylish and warm family. I wish, wish, wish I could meet and hug you all one day. Love and sunshine from the south of Spain. I love that sweater and Watches!!! 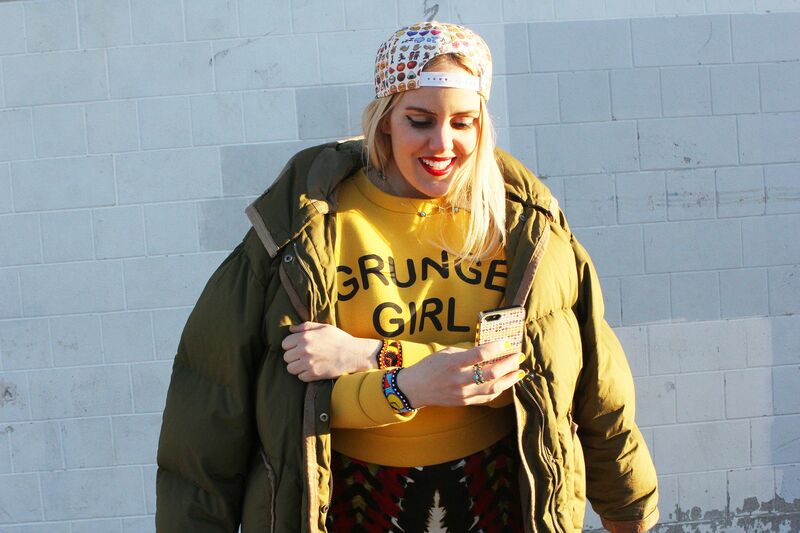 You look gorgeous in grunge style! Oh! Great! Awesome look! I love it! Redken Collaboration and Free Giveaway Contest! Our Wishlist! Shop our Fav' Sale Items!